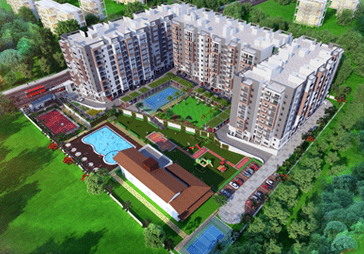 SMR Vinay Harmony County - a perfect balance of location, design, comfort and affordability. Nestled in the sprawling location of Bengaluru, with robust road, rail and airport connectivity. SMR Vinay Meenakshi is all about comfort and good living. Located in Gottigere, Bannerghatta, Bangalore. Its 19 Storeys of Architectural Marvel, four well spaced towers, with no common walls.